Transtar GmbH & Co. KG offers an ideal logistics solution for transporting steel, paper, hazardous goods and automotive parts. The company, based in Erkelenz, Germany, specialises in trailer trucking and provides freight forwarding for other carriers when companies cannot complete the jobs themselves. To do this, Transtar relies on a fleet of 60 trailer tractors, which are continually expanded and modernised. As part of it operations, Transtar’s logistics specialists insists on high standards in digitalisation and process optimisation. With the goal of managing the fleet more effectively and providing clients with transparent data, the carrier began the task of identifying a suitable telematics solution in early 2017. After an extensive testing period, Transtar selected Trimble’s CarCube. Since then, the use of the on-board computer has not only ensured a more efficient order processing but has also enabled the carrier to reduce its fleet’s fuel consumption by around two litres per 100 kilometer per truck. In 2016, Sergej Pautschkow founded Transtar GmbH & Co. KG with a focus on trailer trucking. Clients include a variety of carriers and logistics companies from a broad range of industries. Transtar has transported drinks, refrigerated goods, paper, coils, automotive parts, containers and hazardous goods. By using Transtar, clients save on costs for vehicles and drivers and can concentrate on their primary business. The carrier has grown continuously since it was founded and now employs 75 people. In addition, it manages a fleet of 60 tractors. This includes swap body trucks, curtain side trucks, container chassis, tipper trucks and refrigerated vehicles. 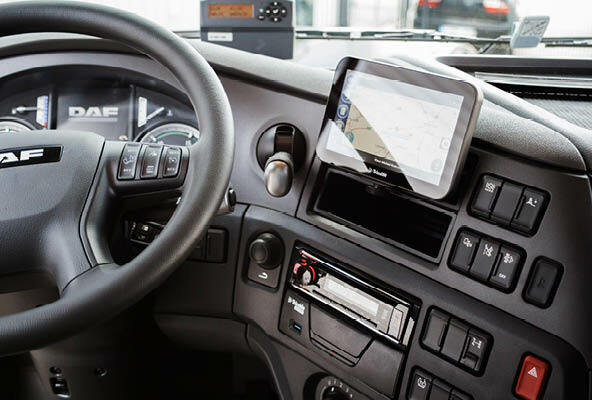 While Transtar initially monitored its vehicle fleet using only GPS, the increasing requirements brought about by the company’s growth made process automation using a telematics solution essential. 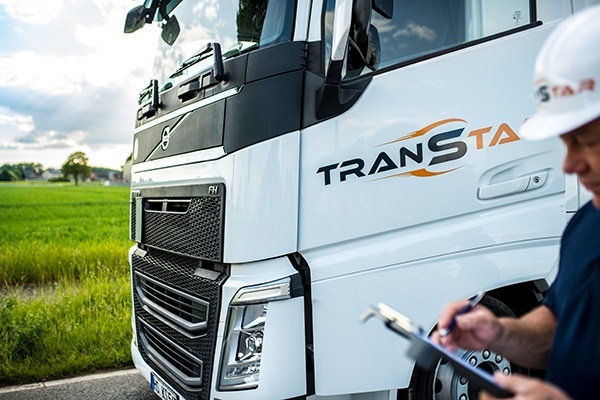 Transtar carried out comprehensive market screening and subsequently tested solutions from different manufacturers in selected vehicles over several months. “For us it was important to find a telematics system that is compatible with our entire fleet. Trimble’s CarCube not only fulfils all our requirements, it also offers flexible options so that the system can grow with us,” said Transtar Managing Director Sergej Pautschkow. When Trimble accepted the assignment, the first step was the delivery of 35 CarCubes, which were installed in the vehicles on site by Trimble. At the same time, Trimble trained the Transtar employees in how to use the on-board computer. Telematics, navigation, communication and the transmission of telemetry data: all applications are available with the CarCube. 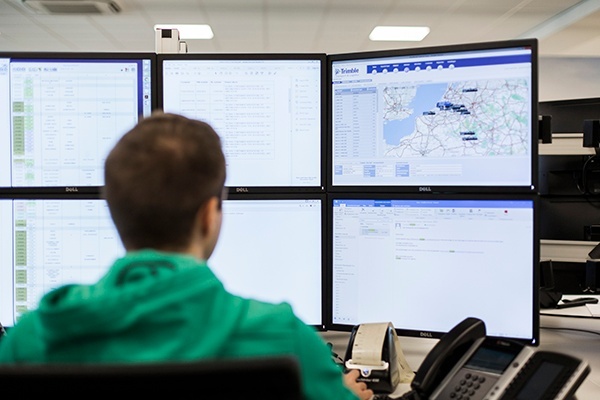 The on-board computer enables the seamless interaction between the driver, dispatcher and customer. In addition, the on-board computer offers a variety of options for documentation and analysis. “CarCube significantly increases our ability to provide information to customers—the processes are transparent and understandable,” said Pautschkow. Via guest access to Trimble’s FleetWorks backoffice application, the client can obtain up-to-the-minute information from Transtar about the vehicle’s location so that they can find out at any time when goods will arrive at their destination. Comprehensive security measures, such as personal login with immobiliser on the on-board computer, a closed network and a high-performance firewall protect valuable data. Updating with new features is also a seamless process. Remote access can be used for updating the on-board computer even when vehicles are on the move. After implementing the on-board computers, drivers had no problems adapting to the telematics solution. “Operating CarCube is intuitive and user-friendly,” said Pautschkow. 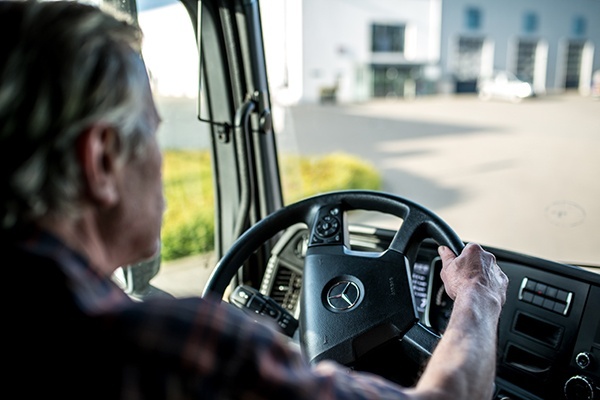 According to Pautschkow, the carrier has been able to put in place different measures to optimise driving behaviour; this is made possible because of the connection between digital tachographs and telemetry data. This means that journey and driving times can be read remotely during the journey and are easy to check and display. The driving assistant displays audiovisual warning signals when the driver is close to reaching the maximum permitted driving time. In addition, CarCube sends all available Fleet Management System (FSM) data, such as fuel consumption, speed, engine speed, braking behaviour, cruise control usage and engine temperature to head office via a wireless connection. Transport costs can also be observed and calculated precisely so the use of CarCube has led directly to significant efficiency gains and fuel savings. “On the basis of all this data, we can offer our drivers targeted training for their driving. This has enabled us to reduce our fuel consumption for the entire fleet by approximately two litres per 100 kilometer per truck and we have also reduced our CO2 emissions,” said Pautschkow. After roughly half a year of CarCube use at Transtar, Pautschkow is delighted with the result. He said that the collaboration with Trimble has been “professional, secure and customer focused” and he is particularly pleased about the positive feedback from his customers. “The transparent order processing places us above the competition and creates additional trust with our customers,” explains Pautschkow. He feels that this sets the course for the future. “Digitalisation will continue to make advances in the logistics sector. It is important for us to remain flexible in our growth and at the forefront of technology.” In this respect too, the Trimble product range surpasses others, offering the ideal solution for each stage of development. In future, the optional software component FleetHours will be used to supply recorded data for salary and expenses calculations at Transtar.